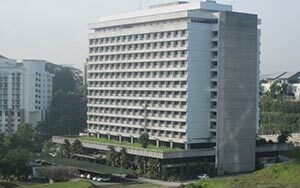 Wisma Damansara is a strategically located 16 storey office building along Jalan Semantan. Accessible through major trunk roads such as North – South Highway, Klang Valley Expressways, Federal Highway, Lebuhraya Damansara Puchong and Lebuhraya Mahameru. In addition it also provides convenient access to public amenities and township facilities such as Bangsar Shopping Centre, Hartamas Shopping Centre, Desa Sri Hartamas, Plaza Damansara and the Damansara Country Club. Also, it is only 10 minutes from Kuala Lumpur City Centre.